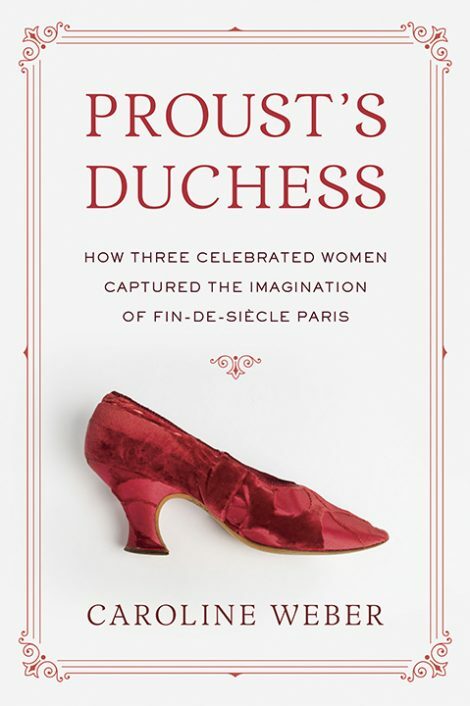 From the author of the acclaimed Queen of Fashion–a brilliant look at the glittering world of turn-of-the-century Paris through the first in-depth study of the three women Proust used to create his supreme fictional character, the Duchesse de Guermantes. All well but unhappily married, these women sought freedom and fulfillment by reinventing themselves, between the 1870s and 1890s, as icons. At their fabled salons, they inspired the creativity of several generations of writers, visual artists, composers, designers, and journalists. Against a rich historical backdrop, Weber takes the reader into these women’s daily lives of masked balls, hunts, dinners, court visits, nights at the opera or theater. But we see as well the loneliness, rigid social rules, and loveless, arranged marriages that constricted these women’s lives. Proust, as a twenty-year-old law student in 1892, would worship them from afar, and later meet them and create his celebrated composite character for The Remembrance of Things Past. Caroline Weber is a professor of French and Comparative Literature at Barnard College, Columbia University; she has also taught at the University of Pennsylvania and Princeton. She is the author of Queen of Fashion: What Marie-Antoinette Wore to the Revolution (2006). She has written for The New York Times, The New York Times Book Review, Financial Times, London Review of Books, The Wall Street Journal, and New York magazine. She lives in New York City.